We’re playing another 2000’s Indie Dance party with the Popscene crew on April 24 at Rickshaw Stop. DJs DJs Aaron Axelsen and Omar will be spinning your favorite indie dance tunes from the 2000s then we’ll take the stage and play live covers of jams from the decade that brought us LCD Soundsystem, Bloc Party and The Rapture. We’re playing your favorite tracks from the greatest concert movie ever made, Stop Making Sense. 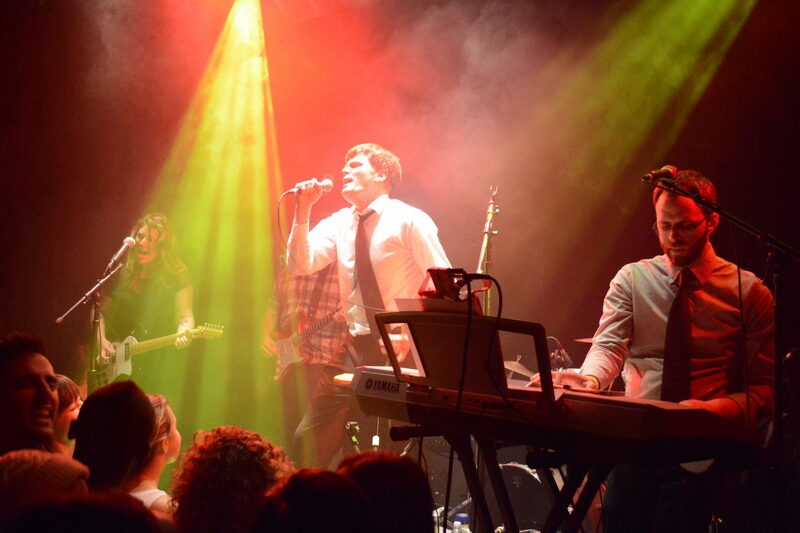 Join us on February 23 at San Franpsycho starting at 6pm and sing along to your favorite Talking Heads songs. The best part, it’s a free show! We’re playing a show at the super-awesome Rickshaw Stop. We’ll be playing danctacular songs from the decade that remembered that dancing to punk and indie music is actually fun. We did this last year and there were lasers and dancing and so many awesome Oakland folks that dammit we had to do it again. We’ll be playing all your favorite 2000’s dance jams at The Night Light with the Last Nite folks on January 23. Plus, DJs Jamie Jams and Rocky Roxana will be spinning all the best dance tunes from that era that ended only a few years ago. 21 and over because, duh, The Night Light is a bar. Want to get an email about upcoming shows? Sign up for our newsletter. Just because we’ve stopped playing LCD Soundsystem doesn’t mean we’ve stopped playing. 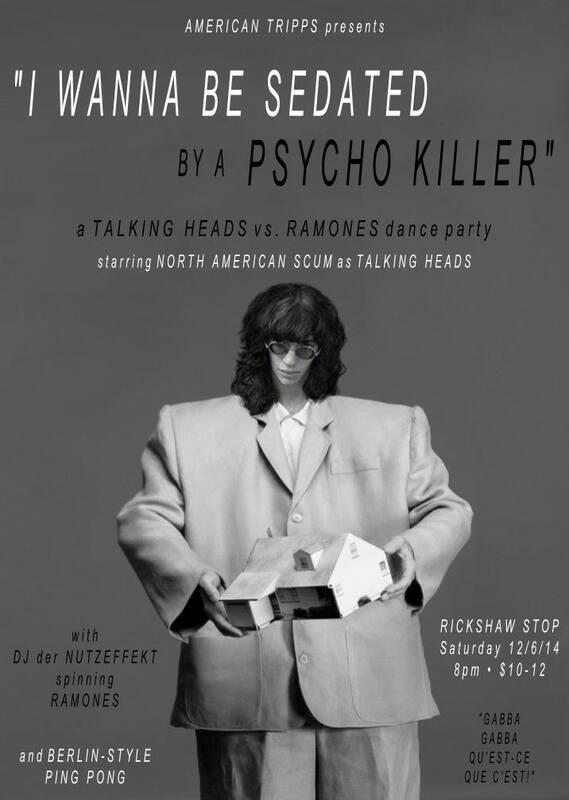 We’ll be burning down the house on December 6 at the always awesome Rickshaw Stop with DJ der NUTZEFFEKT spinning the RAMONES. Plus, there will be ping pong from the American Tripps party people. Here it is, our last LCD Soundsystem show. This show is going to be insane. We’re playing all the LCD songs we’ve learned over the years and we’re adding a few more to the mix. Plus, members of the band (Treefitty, Dust Mites Disco & xoAlicia) will be DJing to keep the dancing going from the time the doors open until they kick us out. All of this will go down at the fabulous El Rio. In March 2011 I had an idea. I’d form a band and play a show in five weeks. Or maybe it was four weeks. This band would play a show covering LCD Soundsystem songs on the same night that the band played their last show in New York. It was supposed to be one show. Maybe two. That would be it. It’s been over three years later and we’ve played more shows than can I remember. From those first shows at Kimo’s, to the sell out shows at Rickshaw Stop to that weird show in Berkeley where we played after what I think was a Celtic band sitting in the round. We got some very nice local press. We were on BFF.FM and lots of people took our pictures at shows. That was all great. But what was truly wonderful was seeing other LCD Soundsystem fans singing along and dancing at shows. Oh, the dancing. The dancing is what kept me going. As long as you guys kept dancing, I wanted to keep doing shows. At least that’s what I thought. A few months back an LCD Soundsystem album started playing while I was driving. I almost drove off the road trying to skip to the next album. The band had become less fun for me and more of a chore. Every song was becoming a homework assignment. Learn the lyrics. Figure out the timing. Determine the best way to work it into our set list. The music that I loved and had inspired me to create this project was now a burden. I still love performing the songs live. I still love dancing on stage. But I need to change something before that too becomes burden. So we’re putting LCD Soundsystem to bed. We’ve played the songs we want to play, we’ve done the shows we want to do, and we’ve met some truly amazing people and bands along the way. But it’s not over yet. 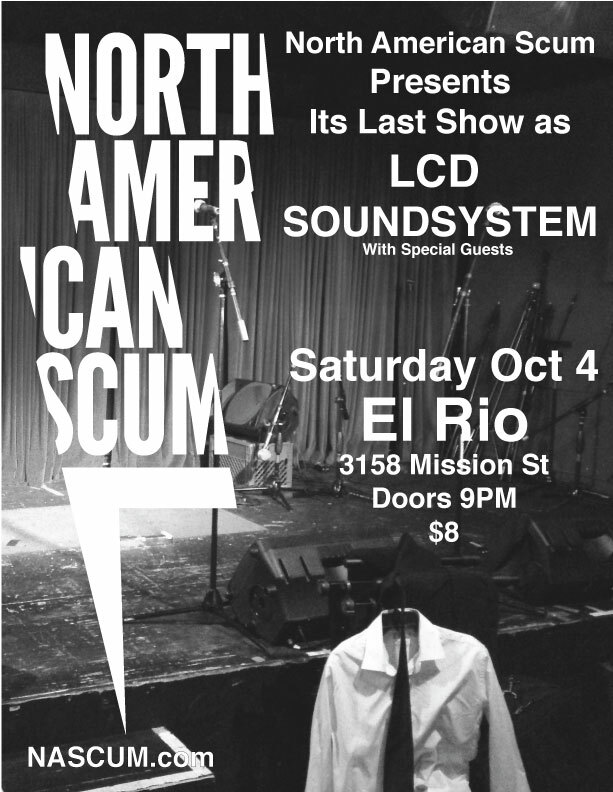 In true LCD Soundsystem fashion we’re going to have one last show. A show where we play all the songs we’ve learned (and maybe a few we haven’t learned). A show with where we invite our friends on stage to play songs with us. Join us on October 4 at El Rio. It’s going to be epic. After that show we will no longer be performing LCD Soundsystem shows. 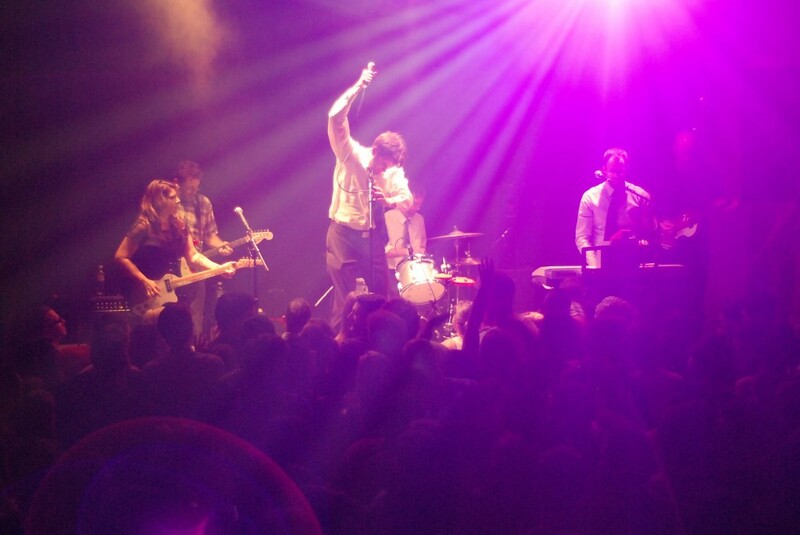 Instead, we’ll be doing more shows like our Talking Heads show from last NYE and our Nirvana show. The band’s still the same, just with less LCD Soundsystem. So stay tuned for more shows, more dancing, and more opportunities to keep you up too late while you’re having all the fun. We’re playing the magnificent upstairs stage of Neck of the Woods on July 26 with Brit-Pop cover band extraordinaire Bang On and R.E.M. tribute band Chronic Town. This is going to be a amazing night of 80′, 90s, and 00’s music at a great venue. 21 and older. Sorry kids. If you missed our first Oakland show here are the photos. Thanks again to the awesome folks at Last Nite and The Night Light.